Should your PSC be linked to your social media account? Jim Daly, an Irish government minister thinks so. We are glad that the Taoiseach has spoken out so strongly. However, public bodies continue to use the PSC in ways that were never intended. 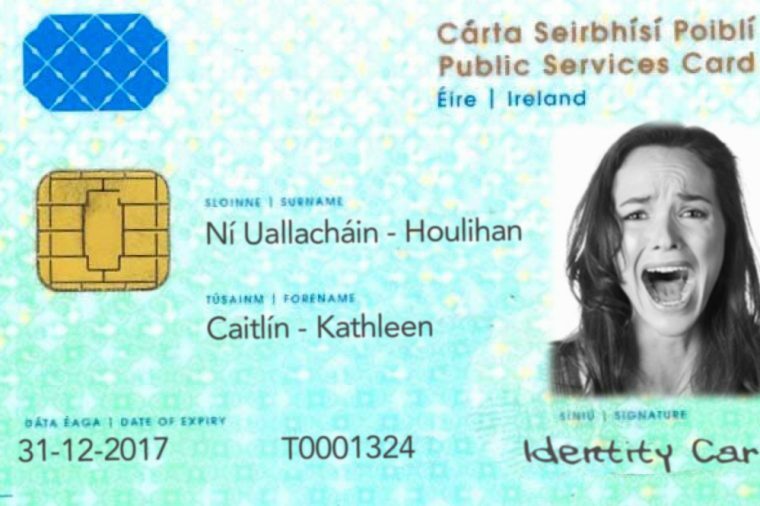 Examples include the use of the PSC in the delivery of mail by An Post, the use of the PSC by the Garda Siochana as part of the vetting process. These uses are certainly illegal under the Social Welfare Consolidation Act. The use of the PSC in the process for issuing of drivers licences and passports also raises questions. The Data protection Commissioner has criticised the PSC and has opened an unprecedented investigation. Minister Daly was concerned that it is too easy to open an online account without providing accurate details and believes that this is a critical issue which makes online bullying possible. In his letter to the European Commission on behalf of the government, Daly calls for ‘the introduction of a cross-check with a social security number as per the Irish public service card (sic) which would confirm a person’s date of birth, or passport number in order to create an account’. Everybody, including children, would have to have a Public Services Card or passport. If they did not, they would not be able to use online services They would have to link their social media, email and other online accounts to their card number or PPS. In an interview on RTE television, Minister Daly explained that he believed that concerns about data privacy were misplaced. He believes that “child protection trumps data protection.”. There are manifold problems with Minister Daly’s plans. It is unlikely that bullies and paedophiles would bother to use the registration mechanism. They would pretend to live abroad to avoid it completely. Alternatively, they would use stolen details to register. Security is a major issue. PPS details are easy to steal. The myGovID online authentication system is insecure and provides little protection for citizens. A truly secure online authentication would cost hundreds of millions of euros to provide. To be effective, the government needs to share more data than just name and date of birth. The social media account would have to link to police criminal files, in order to allow the online services to protect against ‘bad actors’. It is easy to see how this data sharing could quickly get out of hand. Would data about likely targets of abuse be disclosed too? Would the government know what you were doing on your social media accounts? Like Minister Daly, Digital Rights Ireland is highly concerned about the issues of online safety and bullying and has previously made submissions detailed submissions in relation to practical and realistic steps that can be taken to deal with these issues.